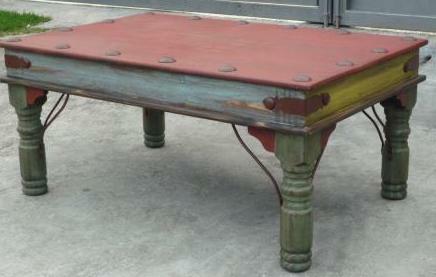 Lovely coffee table with iron accents. 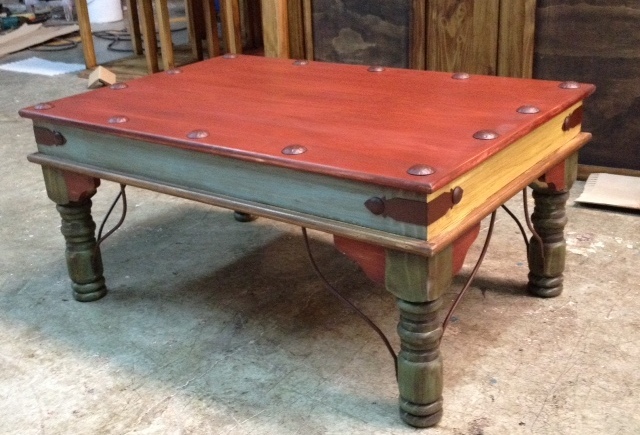 This piece will look great in your Mexico rustic living room along with the matching Indian Console / Sofa Table. We also have Indian style arm and side chairs available. These pieces combine Mexican rustic with a more exotic design and flair. 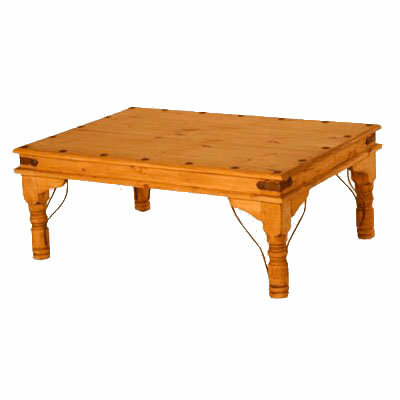 This coffee table may also be used in your Mexico home office as a place to offer refreshment to your business clients or colleagues, or as a great accent piece. Remember that you can always take advantage of our many stains and finishes to make this table even more unique, even more your own design.